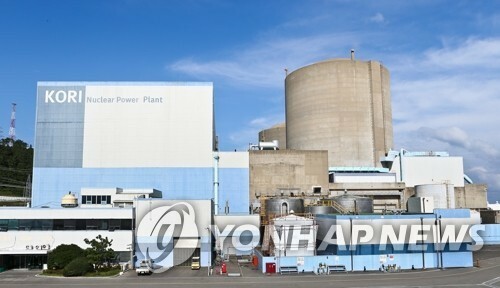 SEOUL, April 15 (Yonhap) -- South Korea's industry ministry said Monday it plans to open research centers to oversee the dismantling of nuclear reactors in line with the government's atomic energy phaseout plan. The Ministry of Trade, Industry and Energy said the research centers will be set up in the second half of 2021 and be located in the southeastern part of the country, where the Kori-1 reactor is undergoing a decommissioning process. The Kori-1, located on the northern outskirts of Busan, the country's second-largest city, was officially retired on June 19, 2017, after 40 years of commercial operations. The ministry said as the nuclear decommissioning industry is in its early stages there really are no leading players, which means South Korea can become a first mover in the area and even secure overseas projects going forward. "The size of the market for the nuclear plant decommissioning industry is expected to post full-fledged growth starting in the late 2020s," Industry Minister Sung Yun-mo said. "We need to gain a competitive edge by fully taking advantage of the dismantling of the Kori-1 reactor." Under the Moon Jae-in administration's energy road map, the number of nuclear reactors in the country will gradually decrease to 14 units in 2038 from the current 24 units. Instead, South Korea plans to increase the portion of renewable energy sources in the country's power portfolio to 20 percent by 2030 from the current 7 percent.